Duo Chloros has been performing together since 2012 as students at The University of Akron. They have devoted their time to learning and performing a variety of repertoire ranging from J.S. Bach and Ástor Piazzolla to Lou Harrison, Tōru Takemitsu, and Stuart Saunders Smith. In the fall of 2012 Alex composed Unspoken Dialogue for flute and percussion, which was premiered in Akron by the duo and subsequently chosen by the Greater Cleveland Flute Society to be performed at their annual Cleveland Composers Connection Concert in 2013. 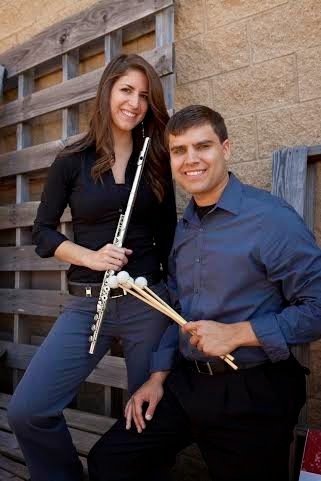 In the fall of 2014 they both began studies at Arizona State University where Sarah is working on her Master of Music in flute performance and Alex on his Doctor of Musical Arts in percussion. The duo continually looks for opportunities to showcase their passion for contemporary chamber music.